There's more to helping the homeless get back on their feet than just putting a roof over their heads, and there's a lot more help available to them than they realize. That's the idea behind the Project Homeless Connect event in Jackson on Wednesday. It's a one-stop shop of resources and services for people in need. Organizers say a big part of the job is making sure they know about it. Shannon Brooks, Project Homeless Connect, said, "So many people that are not aware of the services that are in this county that can help them if they're homeless or at imminent risk of homelessness. So that's what this is for, to get the word out to everyone." 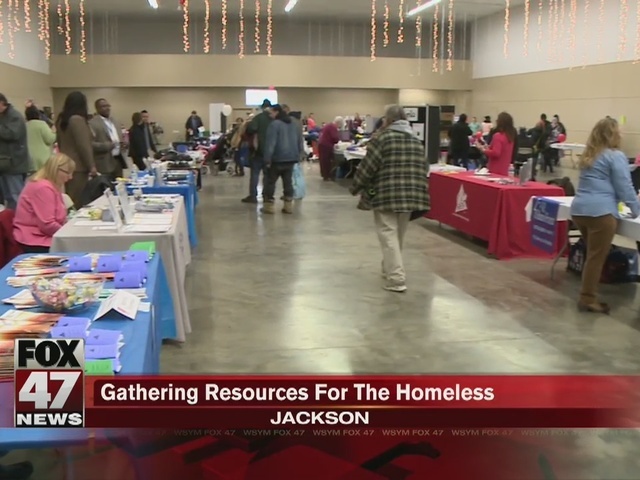 According to organizers, the city of Jackson is required to count the city's homeless every two years. The city of Lansing will make its annual count as required by the Federal Department of Housing and Urban Development beginning Wednesday, January 27th. Teams will be working out of the Volunteers of America Shelter on Larch Street from 11 pm until 2 or 3 am. The official count will be used to help determine how much federal funding Lansing will receive.